Here at Perfect Pieces, we’ve been trading online since 2003, during which time a lot has changed on the internet. One change that has been hard to avoid has been the impact of the internet on the auction business. When we started trading, online auction catalogues were in their infancy and were not universally available, while online bidding was unheard of, although eBay provided some forward-thinking businesses with a clue as to what the future might hold. Things have changed dramatically since then, and businesses such as the-saleroom.com have made it possible for buyers to bid at auctions as easily as they can buy items on eBay. Illustrated online catalogues have become the norm, and buyers now expect to be able to contact businesses through social media channels such as Facebook and Twitter, as well as through the ‘old fashioned’ but still-useful methods of telephone and email (did I really just refer to email as being old fashioned?). Cheshire-based general auctioneer and coin and jewellery specialist A F Brock was one of the first auction houses to have a website, and in 2004 it became one of the first in the UK to offer online bidding, through the-saleroom.com. The company says that several hundred bidders register to bid online for every sale, highlighting just how big an impact online bidding has had one the auction industry. This is confirmed by my personal experience — when trying to buy stock at auctions, I am often outbid by online bidders! Always keen to stay on top of the latest technology, the company has recently begun experimenting with new forms of online catalogue, including a Flipbook, which is a format that will feel familiar to you if you are a regular ebook reader, along with videos highlighting some of the best lots in each sale. You can also find A F Brock on Facebook and Twitter as well as Google Plus and Blogger. Staying on top of online marketing can become a full-time job, so it will be interesting to see how the industry develops over the next decade — and whether companies find that some online channels are worth the effort, while some aren’t. This entry was posted in Auctions and tagged A F Brock, Auctions on August 9, 2013 by Perfect Pieces. It would appear – according to the newspaper report – that this couple were given this large and imposing vase as a present around 50 years ago and it was currently being used as an umbrella stand in the spare bedroom. Spotted during a routine valuation it is said to have a crack and a few spots of emulsion paint on it. However, considering its age – believed to be from around 1740 it hasn’t fared too badly! After some research it is said to be called a Chinese lantern vase with mainly under-glaze blue decoration. This vase has now been catalogued by the auction house, Duke’s Auctioneers, for sale on the 11th February 2010. It will be interesting to see what it realises. This entry was posted in Auctions and tagged Auctions, chinese vase on January 29, 2010 by Perfect Pieces. eBay – Should You or Shouldn’t You? You’ve all probably heard of eBay, it seems to pop into most people’s conversations where antiques and collectables and buying and selling are talked about – in general it’s a huge market place where people can sell and other people can buy. These are only a few pointers to help you get you started. If you have any other good tips then do get in touch and we’ll add them to this list! 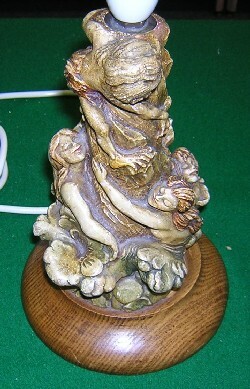 This entry was posted in Auctions and tagged eBay Auctions on October 12, 2009 by Perfect Pieces. Antique & Collectable Television Programmes – Truth or Fiction? Often, when out and about at antique fairs or auctions, you will hear people talking about Bargain Hunt, Flog it!, Cash In The Attic and other similar television programmes – hey you may even see them filming – and then you may start to wonder what it is all the about and whether what is shown in the programmes is really realistic. TV programmes such as these where people take part in either finding antiques and collectables at car boots, antique fairs, antique centres to sell on or selling their own possessions having cleared out their house seem to have really taken off over the last 5 years. With that, and auctions becoming a familiar territory for collectors and eBay continuing to grow it’s a never-ending and very accessible popular marketplace for everyone. There are a few things to remember when you sit down with your cup of tea to watch these programs or switch on your computer to have a browse around eBay. You do have to bear in mind that you may be watching a repeat that was recorded several years ago – and as with everything prices and the value of items change over time so they’re not necessarily a reflection of the value of the item on the day that you watch it! Also, auctions are like market places and don’t necessarily reflect the retail price – the price you might pay for something in a shop. Auction prices are usually a little lower than retail but on occasion they can go higher – if two bidders are determined to win an item. So, whilst they can be interesting to watch and eBay can be a good place to gather a rough idea do bear in mind not everything is as it seems! This entry was posted in Auctions, eBay Auctions and tagged Bargain Hunt, eBay Auctions on September 14, 2009 by Perfect Pieces. Today, Wednesday 3rd September, probably one of the rarest PenDelfin items came on sale, a PenDelfin Old Meg Plaque. Byrne’s Auctioneers & Valuers in Chester held a Collectors Sale which featured just 21 lots of PenDelfin. Within those 21 lots was an Old Meg Wall Plaque and a Daisy Duck! 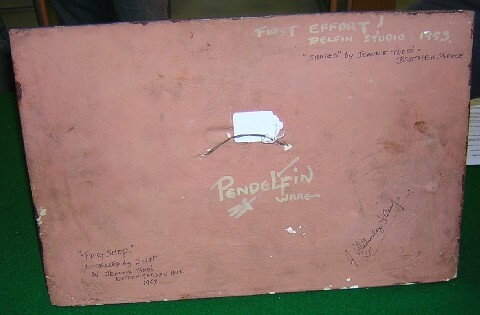 The Old Meg plaque was designed by PenDelfin founder Jean Walmsley Heap and only produced for around a year, from 1953 to 1954. I’ve never seen one of these and unfortunately couldn’t make the sale today so didn’t even get to see it today! It’s not a very attractive or typical piece of PenDelfin and not everybody would want one in their collection but given the choice I would! Daisy Duck on the other hand is a must for any PenDelfin collector. Also designed by Jean Walmsley Heap she was only produced for 3 years from 1955 to 1958. A cute yellow duck with bonnet, she stands perfectly next to her companion Desmond Duck! As I said, unfortunately I couldn’t make the sale so missed seeing this classic pieces. If you went please do drop us a line and let us know what they were like and what kind of condition they were in. It’s always nice to hear about these things. 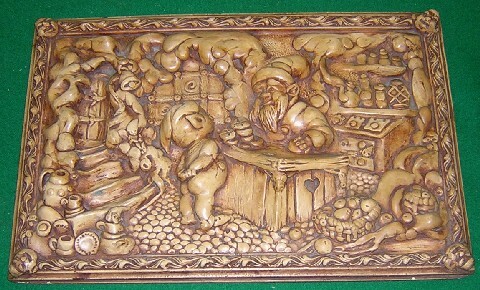 This entry was posted in Auctions and tagged Daisy Duck, Jean Walmsley Heap, Old Meg Plaque, PenDelfin rabbits on September 3, 2008 by Perfect Pieces. Anyone with an interest in Art Deco ceramics might want to consider making a beeline for Stourbridge at the end of May. Well-known Stourbridge auctioneer Fieldings is putting on an exhibition of work by designers such as Clarice Cliff, Keith Murray, Poole’s Carter, Stabler & Adams and Lenci at its auction house on Mill Race Lane from Thursday 29th May to midday on Saturday 31st May. The exhibition has been planned to coincide with Fieldings hosting the first official Clarice Cliff Collectors Club auction ever to take place outside London – something of a coup for the auctioneer. The sale at Fieldings has nearly 300 lots and will begin at midday on Saturday 31st May, allowing plenty of time for anyone needing to travel to the auction. The Clarice Cliff auction promises to be exciting too and it will be interesting to see how prices are holding up in the current market. Full details of the Clarice Cliff sale catalogue will be available on Fieldings’ website nearer the time. This entry was posted in Auctions and tagged 20th century ceramics, Auctions, Carter Stabler Adams, Clarice Cliff, Fieldings Auctioneers, Keith Murray, Lenci, Poole, Poole Pottery, Stourbridge on May 15, 2008 by Perfect Pieces. I came across an article today. It is all about the restoration of a late Victorian house in the American city of St. Louis, Missouri. It seems that the city authorities would like the house to become a tourist attraction, illustrating how one of the leading local families of the 1880s would have lived. Unfortunately, the antique dealers charged with fitting out the house have managed to spend $83,000 of tax payers’ money on antique fittings, only to have a local historical expert describe the interior as looking “like a 1930s brothel”. Read the full article on the St. Louis Today website. This entry was posted in Auctions and tagged 1930s brothel, American antiques, Auctions, Missouri, St Louis on May 12, 2007 by Perfect Pieces. It seems that Wareham auctioneer Cottee’s recent Poole Pottery auction was every bit the success that was hoped for – for pictures and an interesting write up see the Poole Room blog. This blog also has an interesting account of the recent Poole Pottery open day, organised at the factory shop by new owners Lifestyle and featuring well-known Poole artists from past and present such as Carol Cutler. It seems that the factory is definitely closed for good, but that the shop will be retained and is to move to new premises as soon as a suitable location can be found. The Poole Room sells a wide range of Poole Pottery and other work by former Poole artists from their website. 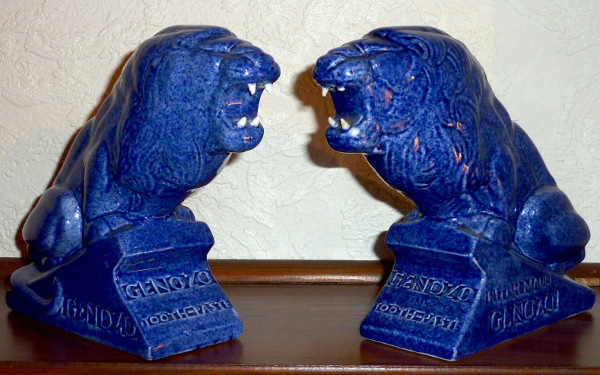 This entry was posted in Auctions and tagged Auctions, Cottee's, Poole Pottery on May 5, 2007 by Perfect Pieces. The 21st April saw the annual Stella Ashbrook (Pendelfin Collector’s Handbook author) PenDelfin auction, this year in Chester and featuring a fair mixture of old, new, rare and unique PenDelfin, as well as some of Jean Walmsley Heap’s own pre-PenDelfin artwork. Jean (JWH) was there, as were a reasonable number of enthusiastic collectors and dealers, although perhaps not so many as in years gone by. and pictured on page 16 of The Pendelfin Story, by Jean Walmsley Heap. The hammer eventually came down at £1900, which didn’t seem excessive for a unique, early piece like this. An added attraction was its provenance – JWH’s personal collection – and the fact it was signed by Jean as well. 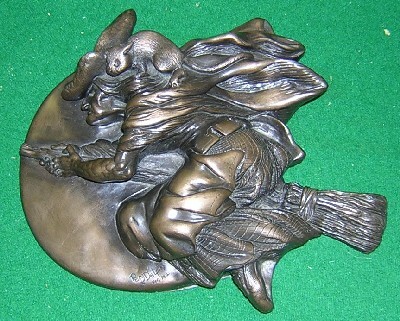 A rare Metallion Flying Witch Plaque, from the late Doreen Noel Robert’s personal collection (as were many of the more unusual pieces). The hammer came down at £160 on this one. 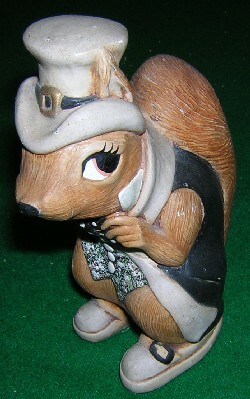 Another one from DNR’s collection – a bit worn, but one of the rarest characters around – Cyril Squirrel. £380 hammer price. Doreen’s own rare Rheingold Lamp Base, in reasonable condition with just a few paint flakes, this fetched a handsome £700. 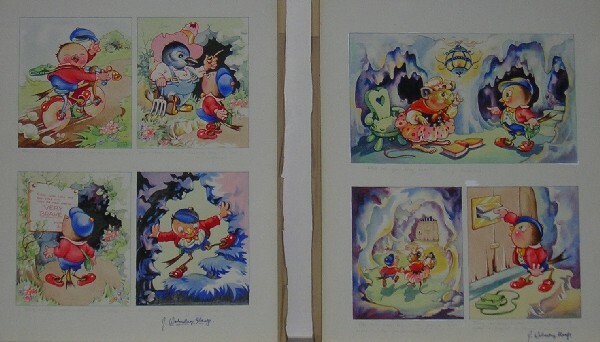 Some of Jean Walmsley Heap’s original paintings – these for the Tommy Tweet series of children’s stories. All hammer prices were subject to a 20% premium. All in all, it was an enjoyable day out, and it was encouraging to see the enthusiasim of the collectors who were present – while many of them were of slightly more mature years (hmm), there were some younger buyers too! Here’s looking forward to next year’s sale. 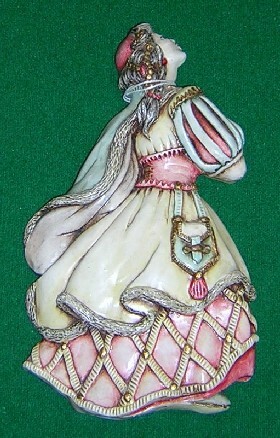 This entry was posted in Auctions, PenDelfin and tagged auction, Jean Walmsley Heap, PenDelfin, Stella Ashbrook on May 1, 2007 by Perfect Pieces.